THE HERO PROJECT: This project is no fashion shoot.Nor a model shoot. It is not a ship shoot. It is a poem, a ballad, a celebration of historic ships through the energy of dance and dancer's perceptions that may encourage the public to navigate through the fog of underappreciation for both historic ships and dancers. 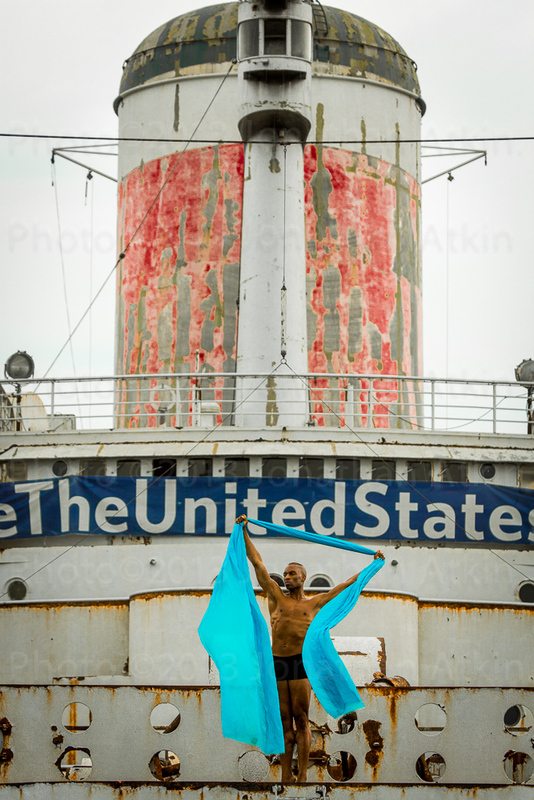 Both historic ships representing our neglected maritime heritage and dancers, are HEROES! Photography aboard SS United States, the four masted Barque Peking, Tanker Mary A. Whalen, Steamship Lilac, and USS Turner Joy (DD-951) has been completed. Pease see "STUNNING PRINTS AVAILABLE" regarding personal print purchases and licensing.